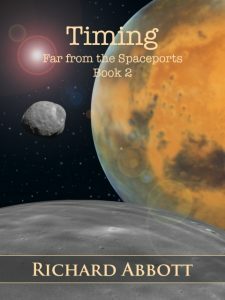 For today I am going back to my series looking at how writers have thought about life elsewhere in the solar system… and it’s the turn of Mars this week. It’s fair to say that Mars has been a firm favourite of writers for a long time. The discovery by the 19th century astronomer Schiaparelli of surface markings which he called canali – immediately if incorrectly Anglicised to canals – spurred a vision of Mars as a dying planet. In this vision, the inhabitants were desperately husbanding their dwindling water resources to delay their inevitable fate. 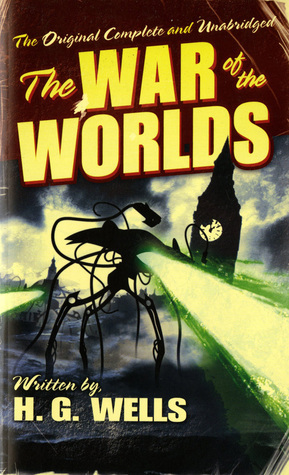 This picture of a dying world drove HG Wells’s The War of the Worlds, and a host of other books including CS Lewis’s Out of the Silent Planet, though in his religious reworking, the cause of decline had less to do with natural process than spiritual. The question that authors faced, then, was how long ago had the surface been benign and habitable? 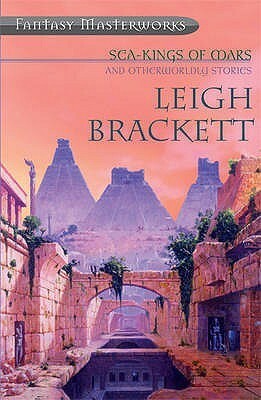 Authors like Leigh Bracket pictured open lakes and oceans in the past, providing a lush surface life a few million years ago, but all now swallowed up by the deserts. Oddly enough, this is not a very different picture to that painted by scientists from the data returned by surface and orbital probes… though the timescale is hugely different. Yes, it seems that Mars did once have running water, but instead of the time period that Leigh Brackett (Sea Kings of Mars) proposed, we are looking at an interval much longer, more on the scale of billions of years. Surface features such as rocks formations shaped by running water have been found, as well as exposed layers of ice threading in between rock strata. Most recently, evidence has been shown that a large salt-water lake may still exist at a considerable depth below the Martian south pole. All this water has kickstarted the debate about life on Mars, by analogy with microbial life found here on Earth in the seemingly inhospitable cold under the Antarctic ice. A number of authors have tackled the question of terraforming Mars – Kim Stanley Robinson for one, with his (extremely long) trilogy beginning with Red Mars. This basically looks the other way at the situation – rather than how a once-habitable Mars declined into its current state, how might we reverse this process and restore a decent atmosphere and surface water? If possible, it would be a very long-term goal, and it’s not clear how the process would resolve some of the other Martian issues such as excessive radiation. It seems more likely to me that, at least for the foreseeable future, living on Mars will have to be done under domes, not out in the open air. She hesitated for a long moment, then nodded. She glanced around. I tried to look reassuring. She shivered at the memory, her arms wrapped round herself. I could empathise with her. I was imagining the situation – the teachers at a loss what to do, the students still oblivious, the senior staff ensconced in a room trying to make a difficult decision. With a deeply inhospitable world just outside the dome, and no guarantee that the environmental controls would continue to function. And I couldn’t possibly close this blog without linking to Dave Bowie… Life on Mars?